HerbDoc sings the praises of Kolkwitzia. 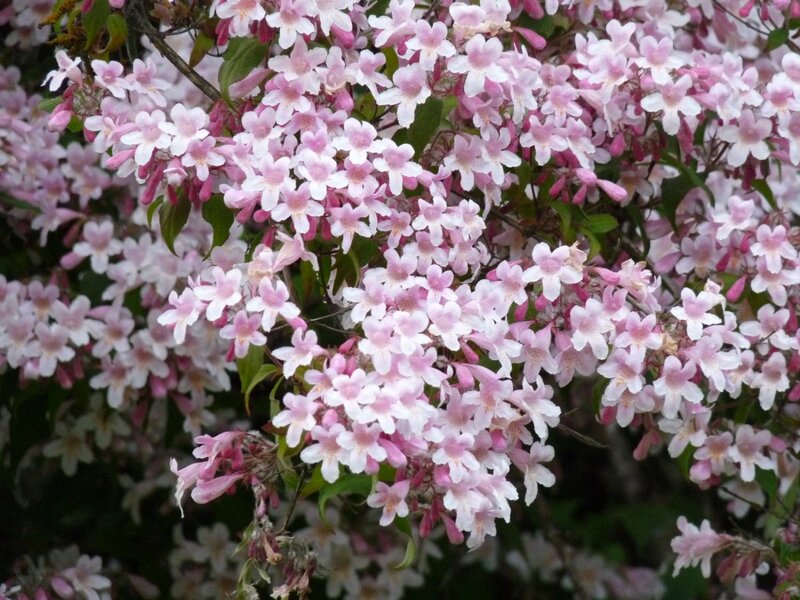 Here’s an old fashioned shrub that was extremely popular in the fine gardens of the 1930’s and 1940’s. Kolkwitzia, or Beauty Bush, is a dense, twiggy, fountain-shaped shrub with pink tubular flowers that appear in late May to mid-June. 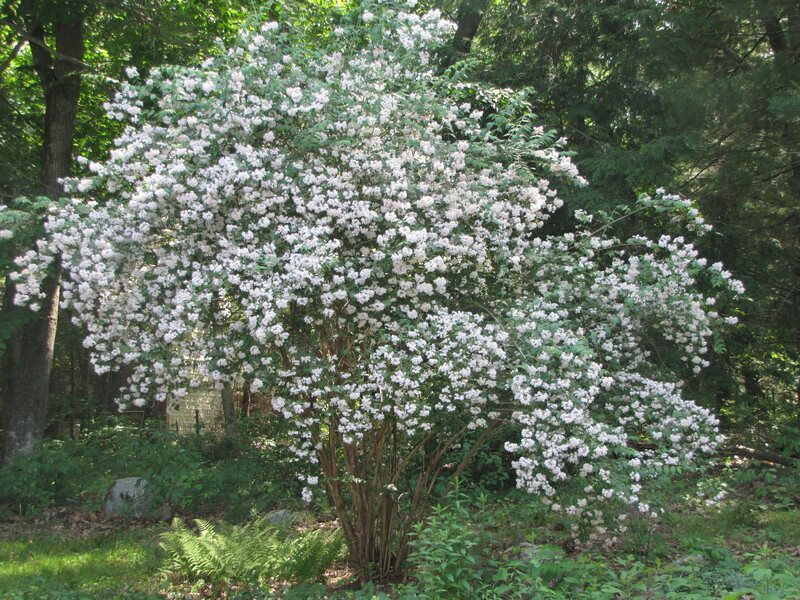 The positives of this shrub are many. It has no diseases; pests don’t like it; and it is easy to grow in average soil (pH 6.6 – 7.5). Flowers, although short lived, have a sweet fragrance similar to vanilla and are very attractive to bees, butterflies and hummingbirds. Visitors to my yard often remark about it when it’s in bloom but tell me it’s hard to find. Mine came many, many years ago from an older garden club member’s offshoot. If I had been lucky enough to have offshoots, I would have planted them all over my property line! When not in bloom, the plant is rather nondescript. It has yellow leaves in the fall and is deciduous. If you plant Kolkwitzia, give it plenty of room! The one in this photo is about 12 feet high although it is said to grow to 15 feet. The plant grows on old wood so avoid the mistake I made a few years ago and resist the urge to prune it. Not only will you do away with next season’s bloom, you will also end up with a “witches’ broom”. It will eventually grow out, but in the meantime it will be quite ugly! To renew the plant simply cut thick old branches down to the ground after the spring bloom.